Professor Curtis specializes in Environmental History and Studies with research and teaching foci on mining, environmental ideas, and food systems. He teaches undergraduate and graduate courses in modern United States history and environmental history and offers independent studies in environmental history and the environmental studies and sciences. His positively-reviewed first book, Gambling on Ore: The Nature of Metal Mining in the United States, (University Press of Colorado, 2013), is an environmental history of nineteenth-century non-ferrous metal mining. In it Curtis argues that persistent and recurring uncertainty about the character and extent of ore deposits has shaped metal mining since the middle nineteenth century. Two other essays “Greening Anaconda,” a study of a former smelter city in western Montana, and the award winning “Producing a Gold Rush,” a look at the role of the nation-state in setting the spatial stage for western gold rushes, extend Curtis’s environmental analysis of American mining into the later twentieth and earlier nineteenth centuries respectively. Curtis also recently completed an essay, “Mineral Uncertainties and World War II,” now under review as part of an anthology of environmental histories of World War II on the American home front, which looks at how scarcity of mineral resources shaped the behavior of combatant nations during World War II, encouraged a productive profligacy in the United States, and left a residue of concern about resource limits across the second half of the 20th century. He is now working on a Big History of metals and human society. This study will explore trends and patterns in the long history of metal use and exploitation dating back approximately 7,500 years. He is particularly interested in unpacking the relationships between metal deposits, social complexity, metal exploitation, and power over the long stretch of human settlement. Prof. Curtis has a second research interest in the history and application of environmental ideas and ideas about nature. His essay, “The Virtue of Thoreau: Biography, Geography, and History in Walden Woods,” a deconstruction of Thoreau as an environmentalist, begins an exploration of the emergence of environmental thinking alongside its concomitant social context in the United States, which will culminate in a book about the same. Along the same lines, Curtis worked with a team of scholars led by William Jordan, III, and co-authored “Foundations of Conduct,” a meditation on practical methods to enhance the ethical consideration of nature in day to day behavior. Curtis has also given dozens of public lectures about the application of environmental ideas and philosophy to contemporary sustainability challenges and he is currently developing a course to be offered in Spring 2019 on the History of Environmental Ideas. Curtis is also bringing this expertise to program development at the Ecolab at Ohio State Mansfield, where he is leading an Initiative in Ecology as Social Justice. 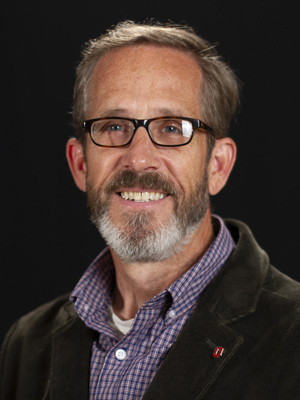 As an affiliate member of the Ohio State Discovery Theme focus area Initiative for Food and AgriCultural Transformations (InFACT), Curtis is the Principal Investigator in a community-led food system intervention project in Mansfield, Ohio. In addition to coordinating development for the initiation of an urban microfarm production system for the small city, Curtis has developed, constructed, and is working with students and alumni to grow food on a demonstration urban microfarm built atop a former parking lot on the Ohio State Mansfield campus. This model small-plot, high-yield microfarm currently produces food for the campus cafeteria, the campus community, and local restaurants.